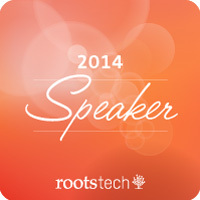 It’s one of genealogy’s biggest events — the massive RootsTech conference in Salt Lake City. And it’s now officially underway. If you’re home feeling blue about missing the fun, remember that there are some 15 sessions being streamed live around the world, so you don’t have to miss out on everything. You can see the list and the schedule at this link at FamilySearch. And all you need to do is point your browser to the RootsTech website: https://rootstech.org/.